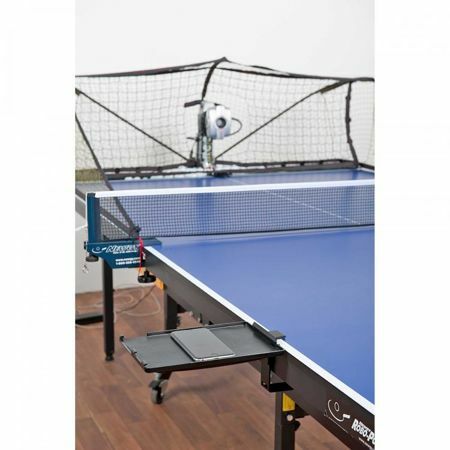 The Robo-Pong 3050XL table tennis robot is a game changer! It revolutionizes the way you can train and practice! It was developed to create the most human-like playing and training experience for you. Robo-Pong 3050XL really is the table tennis tool for everyone ? easy enough for a beginner yet challenging enough for a pro! 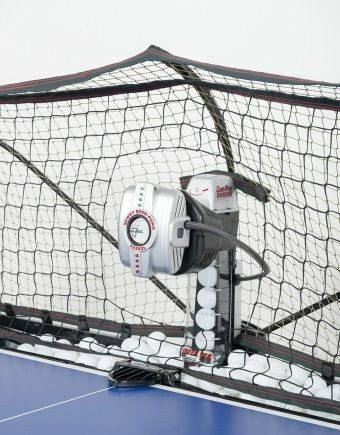 - 2 throw wheels with independently programmed motors spin forward and/or backward to achieve true separation of spin and speed, while producing a wide variety, degree and combination of spins - including topspin, underspin, sidespin and no-spin. Achieve more spin without having to increase speed. - User-friendly Newgy App controls all robot functions through Bluetooth® (Operates by user?s personal device, such as a smartphone, tablet or laptop. This robot can function either through the Newgy APP via a Bluetooth® connection for iOS and Android or through a wired USB connection for Windows. Windows users may download the Windows Newgy APP at www.newgy.com. - Drill Mode: choose from a vast selection of more than 100 pre-programmed drills including Introductory, Beginner, Intermediate, Advanced, Bonus and Exercise. Create, save and run your own Custom drills. Save your favourite pre-programmed drills and custom drills in your Drill Library for quick and easy access. 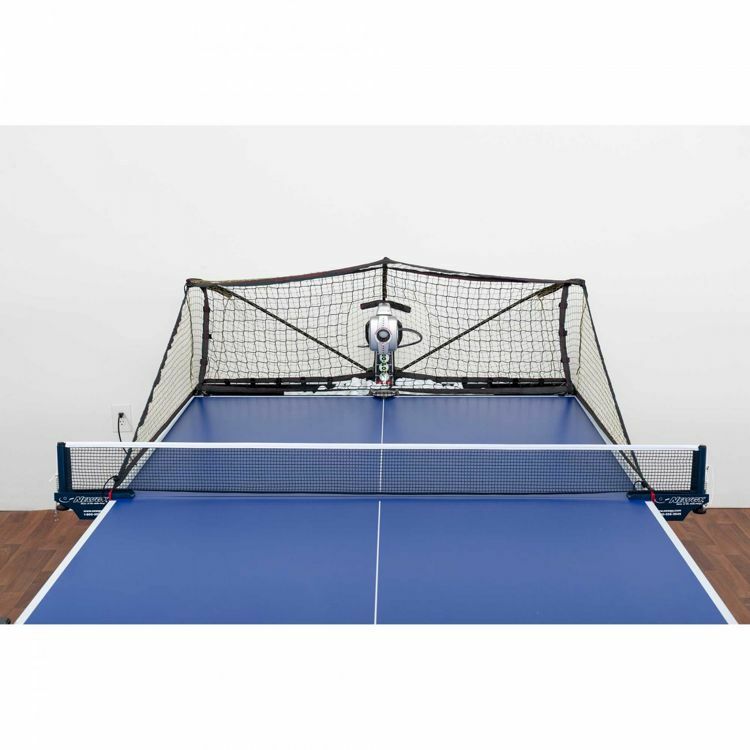 - Control Mode: choose Standard for basic ball control options such as location on the table, type of spin (top spin, back spin, no spin), type of ball (serve or regular), amount of spin, side spin direction and side spin amount. Or choose Precision for a wider, more precise range of ball control options such as number of balls, wait time, top and bottom motors/wheels speeds and frequency settings, oscillation, height and rotation. - Indicator Lights on the robot head notifies you of the exact spin on the outgoing ball. 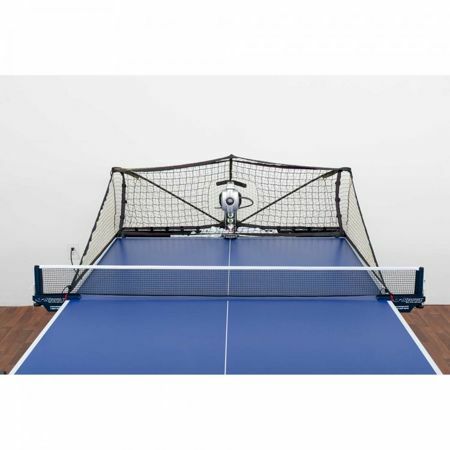 - Recycling Net System to capture your returns and recycle the balls for non-stop action. - Fits all standard table tennis tables and is quick and easy to setup, take down, store and transport; no assembly or tools required.